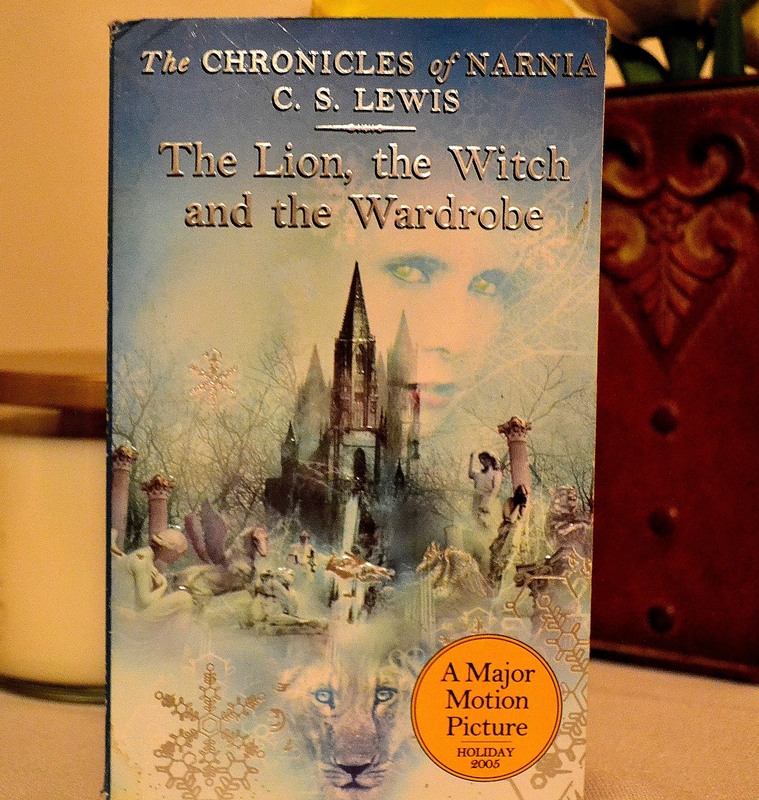 Since I reviewed my favorite Narnia book, I thought I may as well just work right through the series. Probably not consecutively though. I will keep this review light and simple, since so many are familiar with this story. This is the story where we meet Digory Kirke again, except now he is Professor Kirke, and he is who the Pevensie’s go to stay with while the war is happening. The wardrobe that Lucy steps through to find Narnia? 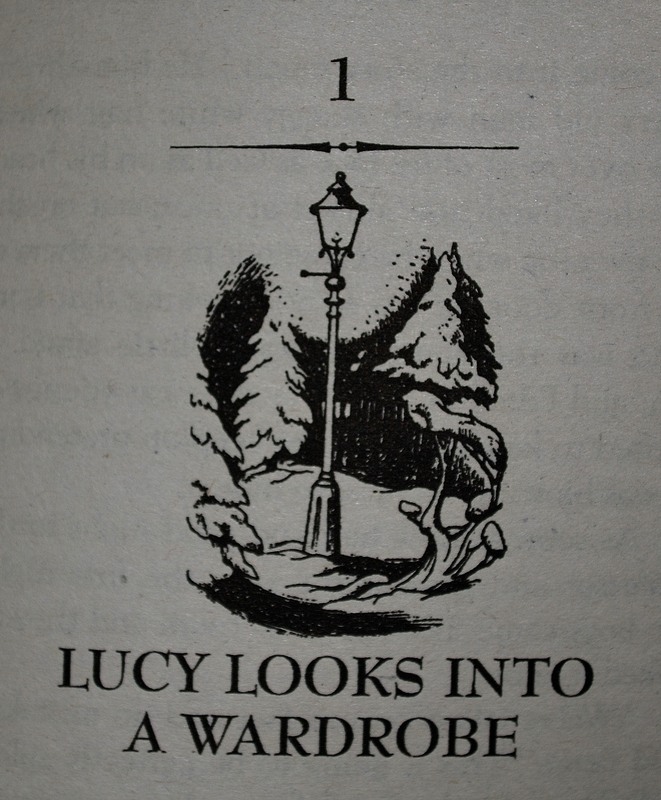 That wardrobe is made from the first tree that was planted in Narnia in book one, “The Magician’s Nephew“. Lucy has a hard time convincing her siblings of this wonderful world she found, and even Edmund lies to Peter and Susan about it after he went there himself. Older brothers, right? 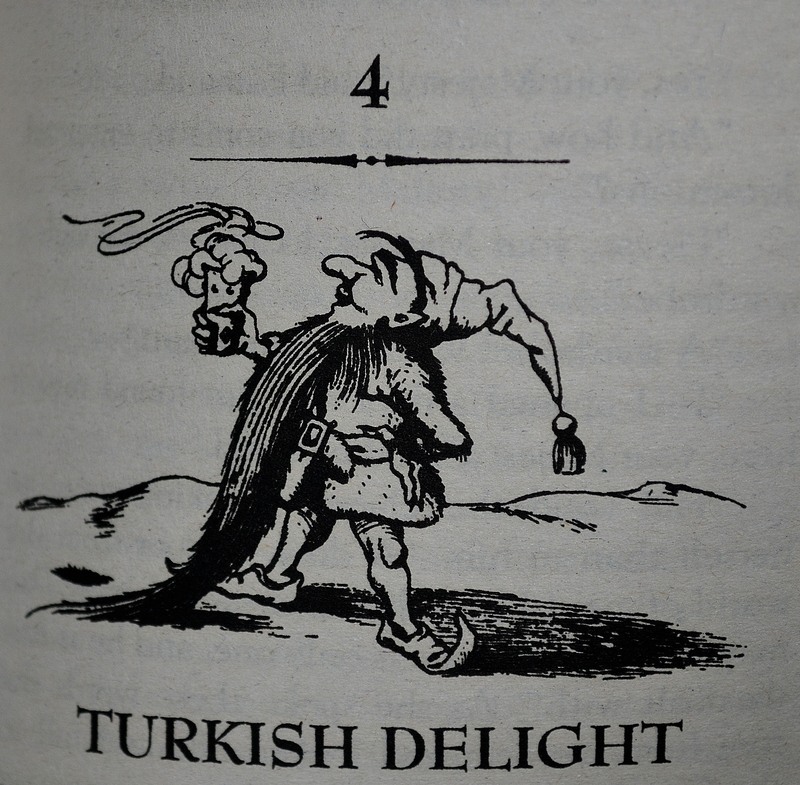 Nothing like a bit of Turkish Delight to get Edmund tangled up with the White Witch! While trying to hide from the housekeeper, all 4 of the Pevensie’s climb into the wardrobe, and step in Narnia. 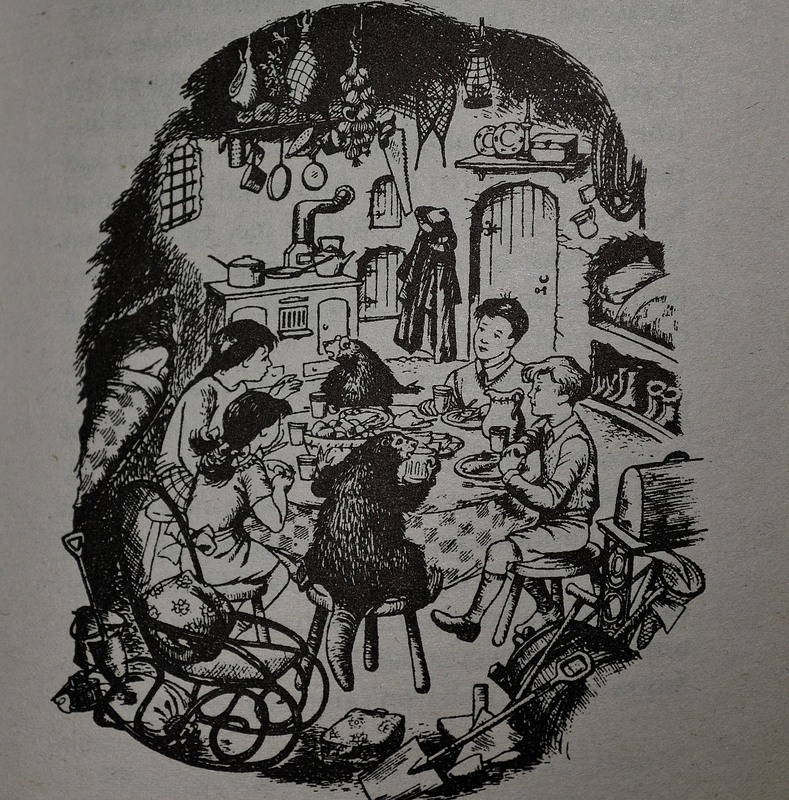 Edmund gets an earful for lying, Susan wants to return to the professor’s home, and Peter and Lucy want to explore. They meet the Beaver’s, who are one of my favorite parts of this story! Edmund decides to go find the White Witch, because she promised to make him a King. Since he is tired of being bossed around by Peter and Susan, this is just the ticket for him. But of course, it’s not. He manages to get all four of them in a heap of trouble, and it takes Aslan to get them out of it. This is the first story that was made into a movie, although I used to watch this as a cartoon when I was growing up. It must have been in the late 70’s, and it was shown once a year, kind of like The Wizard of Oz was shown. It was always on a weekend, and it was a big deal to watch this cartoon movie. Maybe that is why I never read the books when I was growing up! Next Article Whose Bad Idea Was This? My absolute favorite as a kid. So pleased you included the art from the inside of Mr. & Mrs. Beaver’s home. It always struck me as the kind of place you’d want to curl up inside for a week or two during the terrible winters. I agree! I loved this part of the story; you could feel the warmth! This makes me want to reread the series too!! I haven’t read them since like Middle School!! It will definitely be worth your time! Thanks for sharing! Great review! I haven’t seen the cartoon movie of this book, but it’s definitely on my list to watch.